An internationally recognized authority in the science of how the brain is organized to process language, Elizabeth Bates, professor of cognitive science at the University of California, San Diego, died Dec. 13 after a year long battle with pancreatic cancer. She was 56. Elizabeth Bates was one of the founding members of the UCSD Department of Cognitive Science, the first such academic department created in the United States. As director of the Center for Research in Language and the Project for Cognitive and Neural Development, she led groups of researchers seeking to understand the relationship between brain function and language learning. Bates had a global reputation for her pioneering work in child development and language acquisition. She also headed-up groundbreaking studies in the fields of post-stroke language affect, comparative linguistics and the psychology of adult language learning. In a prolific career over three decades, Bates and her teams of international collaborators conducted studies in over 20 languages on four continents. She was author, or co-author, of 10 books and more than 200 articles. 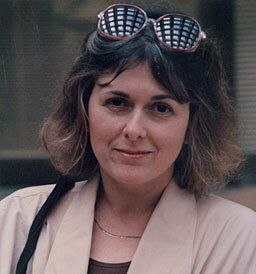 Much of her work was interdisciplinary, involving teams of neurologists, pediatricians, linguists, psychologists, computer scientists and cognitive scientists. Her ideas and research influenced work in fields as disparate as neuroscience, linguistics, psychology, computer science, biology, and medicine. She was also co-director of the San Diego State University/University of California, San Diego Joint Doctoral Program in Language and Communicative Disorders. Among the most lasting of Bates’ contributions was research showing the brain's tremendous flexibility or 'plasticity' in learning language, demonstrating that children with injury to the language areas could still develop normal language abilities. She also showed that separate characteristics of the world's different languages determine the way that the brain organizes this information and incorporates it during development, adulthood, and in cases of disease. Her work also demonstrated the profound and lasting links between language and evolutionarily more ancient non-linguistic skills. It was Bates’ general theory that linguistic knowledge is distributed throughout the brain, rather in one center for language development. She championed this perspective in the worldwide debate in cognitive science and used her understanding to create tools for other cognitive scientists to use in their probing for deeper understanding of brain function. Most recently, in April, 2003, Bates and a team announced discovery of a novel brain imaging technique that produces maps that “light up” the relationship between the severity of a behavioral deficit and the voxels (similar to pixels in computer images) in the brain that contribute the most to that deficit. Voxel-based Lesion-Sympton Mapping (VLSM) provides researchers with an extremely valuable new tool for pinpointing the specific areas of the brain that are most crucial for normal function during critical brain activities, starting with language comprehension, but moving on to many other problems in language and non-language functions. At the time Bates said, “This is an important breakthrough because it is a bridge between two different traditions in brain research—lesion-behavior mapping and functional magnetic resonance imaging (fMRI’s).” Lesion-behavior mapping is an ancient technique, the very first brain-mapping tool. Use of the fMRI is relatively new and revolutionary but the two techniques had not been used together because there had been no direct and quantifiable method for comparing them. Bates, who was born in Wichita, Kansas, received her B.A. at St. Louis University and earned her doctorate in Human Development from the University of Chicago. She was awarded honorary doctorates from the University of Paris and the New Bulgarian University in Sofia. Earlier in her career she was on the faculty of the University of Colorado (1974-81), and a visiting professor at the University of California, Berkeley (1976-77). Since 1972, she had been a visiting scholar on a regular basis at the National Research Council Institute of Psychology in Rome. Her most recent publications on brain organization and language include Rethinking Innateness (MIT Press, 1996), From First Words to Grammar (Cambridge University Press, 1988) and The Cross Linguistic Study of Sentence Processing (Cambridge University Press, 1989).